This is the only "guide book" to the show ever published. It starts out fine, with detailed chapters about Hamner's upbringing, and the making of the Spencer's Mountain and The Homecoming movies. Sadly, it then runs out of steam and dumps us into nothing more than an extended run of short synopses of the main The Waltons episodes with no behind-the-scenes information at all save for a few "this is my favorite episode" type of comments from assorted actors and production staff. Published in softcover by Cumberland House in 2002, ISBN 1-58182-298-7. 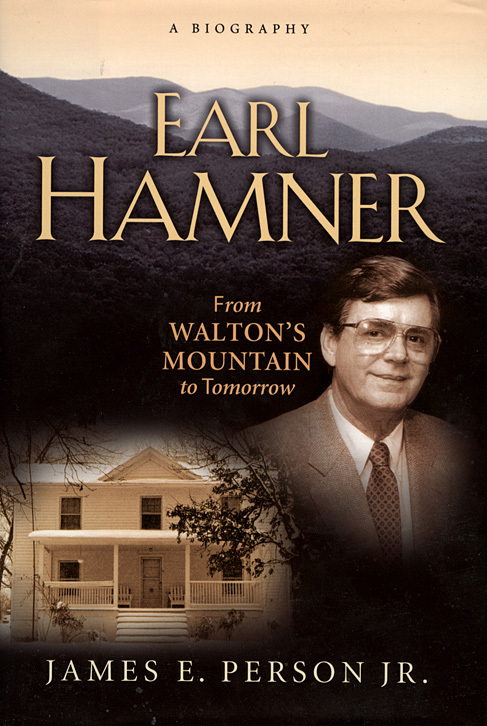 Earl Hamner: From Walton's Mountain to Tomorrow: A Biography by James E. Pearson Jr. 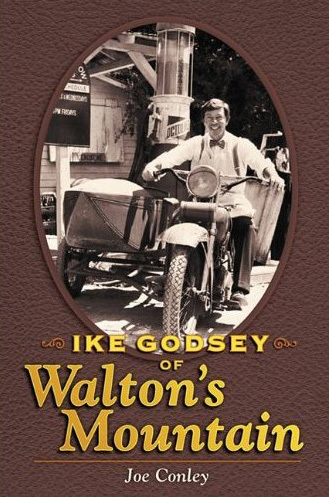 The official biography of The Waltons creator, so this book covers The Twilight Zone and Falcon Crest as well as The Waltons and the Spencer's Mountain and The Homecoming books and movies. 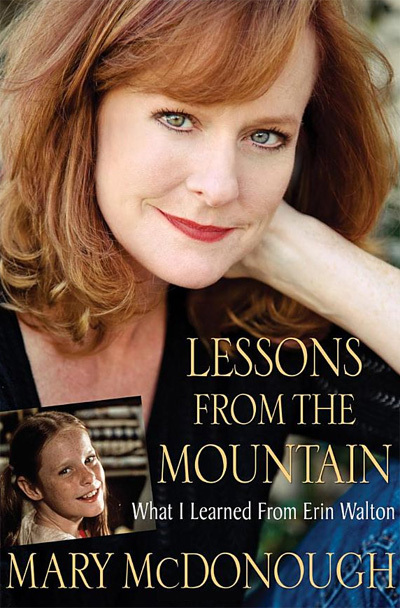 Includes written tributes from most of The Waltons actors. Published in hardcover by Cumberland House in 2005, ISBN 1-581812-455-6. 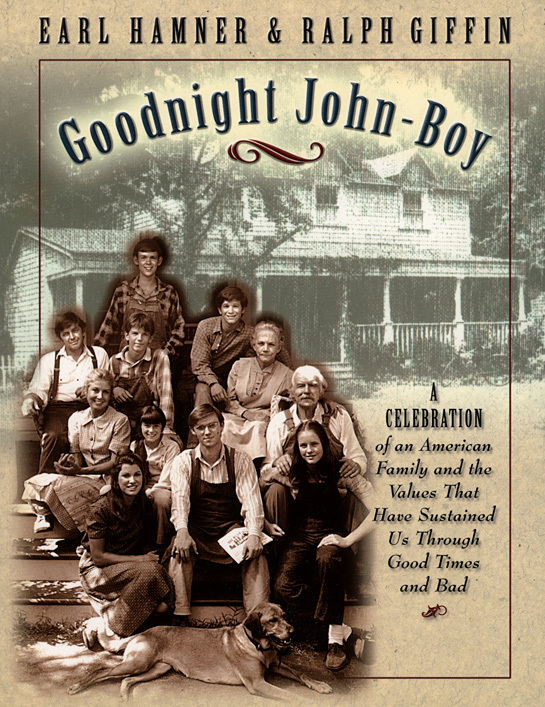 A good 80% of this autobiographical book is about The Waltons, with behind-the-scenes anecdotes. A good read for fans, though it should be borne in mind that this is one person's perspective on the show and not a general "making of" guide; many of the other members of the cast are hardly mentioned. Published in hardcover by Kensington in 2011, ISBN 0-7582-6366-X. This is a light-hearted read where Joe Conley takes us though his career of acting and the real estate business. Much like the shopkeeper he portrayed Joe is quick to tell us the cost of major purchases and expenses like cars and rent. Joe gives us a overview of his childhood and first attempts at acting. He reveals his military record and service in the Korean War. His take on events in the acting business reveals an actor’s perspective on how show business can affect beloved characters like Ike Godsey. Things don't always run as smoothly behind the camera as they appear in front of the camera and Joe’s words shed light on how his perception of his character differed from that of the viewing audience. We see an enduring character, always in his store waiting for customers to arrive and buy supplies like members of the Walton family. Joe saw it as a role that was measured by how many days work it provided him and how the storylines could increase or decrease how often he worked. Where we saw stability he saw the fickle nature of acting in television. Joe spent a significant of time in his early acting career singing in piano bars. He would later create a touring song and dance act with fellow Walton actor Eric Scott. Joe gives us the behind the scenes scoop on how this came to be and how it lead to the recording of an album. Joe Conley provides a simple and concise look at his life and career and he provides just enough gems to make it a worthwhile read which provides enough insight to comprehend the life of a working actor. Published in softcover by BearManor Media in 2009, ISBN 1-59393-508-0. This short memoir-style auto-biography jumps from thought to event with no particular reason or thread. She employs a stream of conscious thought to tell a good story rather than a linear order of events and memories of her life. It is entertaining in that you never know what the next chapter will reveal of this colorful and exotic personality. Ronnie Claire Edwards is as notable, cultured and refined as the character she portrayed on The Waltons aspired to be. 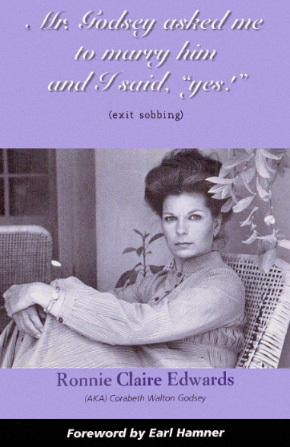 Ronnie Claire is by no means dull and her book reveals how she has made the most of life and found herself at the center of a multitude of interesting experiences. One chapter is devoted to an excerpt from her book A Knife Thrower’s Assistant, Memoirs of a Human Target. It reveals colorful and memorable characters that she seems to attract around her. It is also indicative of her writing ability, less matter of fact memoir and more descriptively creative, full of colorful adjectives and dramatic descriptions. Ronnie not only worked as an actress but also a writer and her control of the written word is apparent in this excerpt. Ronnie has chosen to live in various exotic surroundings. She currently resides in Dallas in a renovated church but she devotes a chapter to her Los Angeles Palladian home in which she hosted several parties over the years. The old Hollywood estate has since become home to both Flea of the Red Hot Chili Peppers and Jack Black. Available by order through the Walton's Mountion Museum gift store.